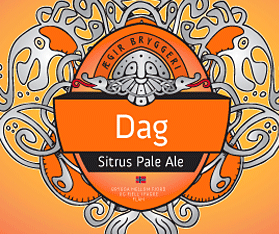 Ægir Bryggeri offers quality craft beer for every taste! We make our own versions of well known beer styles and have a passion for developing new and exciting flavors. In our range you will find a variety of beers that are refreshing by themselves and that contributes to making good meals even better. If you´re having salty or sweet food, seafood or cured food, grilled foods or goose liver, cake or chips - in our range you will always find a matching companion. We have light and refreshing thirst quenchers for those hot summer days, dark and fruity beers that is perfect in front of the fire place on a cold winter night - and craft beer of the best quality for all other occations. 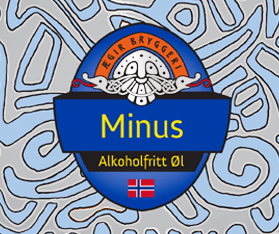 Our beer is available in grocery stores, Vinmonopolet, bars & restaurants all over Norway and also in several other countries. An India Pale Ale that is made just right to make Goldilocks happy. It is perfectly balanced, aromatic and light with a dry and elegant finish. Great by itself but also pairs well with barbeque, seafood or cheeses. Perfect match to chocolate desserts or Créme Brülée. We had to try aging our American Barleywine in a few of the barrels we got from Breckenridge Distillery in Colorado. 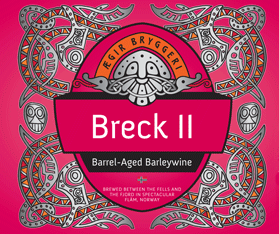 The result is a brew with notes of vanilla, oak, maple syrup and dried fruit. Blue cheese, Parmesan cheese or different desserts. 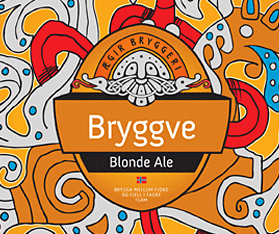 A golden and easy-drinking brew with soft brady tones and a hint of citrus in the aroma. A refreshing taste experience all by itself – and a perfect partner for pizza, sea food, salads and white meat. 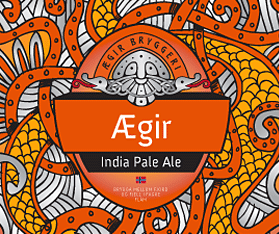 This beer is a hybrid between Witbier and India Pale Ale and is spiced with coriander, orange peel and persian lime. Good all by itself, even better with lighter meat dishes and spicy food. 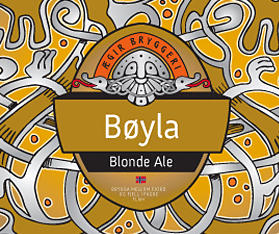 This refreshing blonde ale has a mild aroma with hints of freshly baked bread and citrus from American flavour hops. A good companion for seafood, pizza and cheeses. 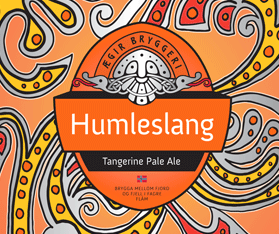 Our refreshing low-alcohol Pale Ale with dried orange peel and aromatic American hops. A crisp and dry beer with a citrusy flavour and aroma. A great match with chicken, cheeses, salads, shellfish and spicy foods. 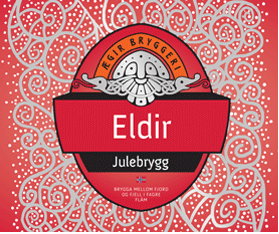 Our traditional Christmas bock is named after Eldir, one of Ægir’s two servents who tended the fire when Ægir invited the gods to his undersea hall for a celebration. The beer is dark amber in color, malty and well-balanced. Goes well with the typical foods of the winter season. Also try it with cheeses and even dessert! Accompanies traditional Christmas food well, along with strong cheeses and even desserts. 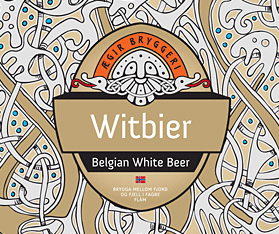 A clear and exciting version of Belgian witbier. 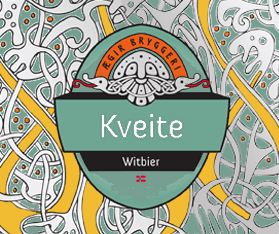 Wheat malt, coriander seed and orange, lemon and lime peel gives an aromatic and unique Kristallwit with low bitterness. Refreshing by itself, it is also the perfect partner for salads, mussels, light meat dishes and fish. We had a visit from our friend Menno from Brouwerij De Molen. Naturally we had to cook up something big and this Imperial Coffee Stout was born, with flavors of chocolate, coffee, and nuts. Chocolate cake and other decadent desserts. 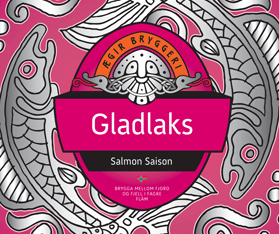 This beer is specially made for the International Year Of The Salmon 2019. It´s a fruity and cloudy beer with a dry rounding. 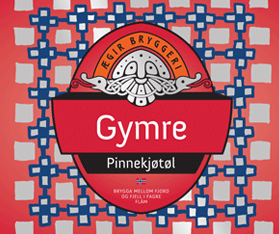 Perfect for cheese, wild salmon and other tasty seafoods..
Gymre Pinnekjøtøl is a perfect match to the traditional yuletide meal, with the character of peat-smoked malt and a full body to balance the salt and savory character of Christmas food. A perfect match with traditional Christmas food. 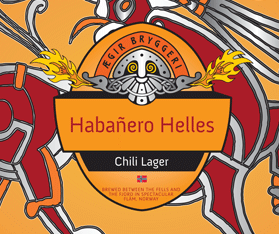 We´ve added a fresh and homemade extract from habañero chili peppers to our light and elegant Munich Helles lager, giving it a spicy kick with an aroma and taste of chilies. 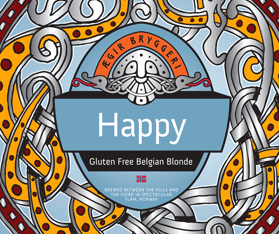 Our Gluten Free Blonde is a happy melody of a beer where barley malt, pure water from Flåm and a unique Belgian yeast combine for a fruity and flavourful brew. Enjoyable by itself, our gluten free Blonde Ale also pairs harmoniously with salads, cheeses, shellfish and seafood dishes. 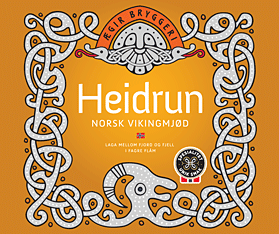 The traditional drink of the Vikings made from 100% Norwegian honey and fresh mountain water from Flåm. Our mead is light and semi-dry with a fruity and lively aroma, with a pleasant flavor of heather honey and the mild autumn. Good all by itself, but also pairs well with cheeses and desserts. 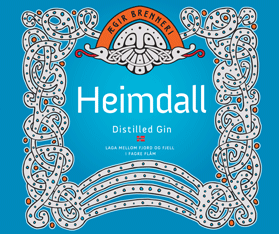 An aromatic and elegant gin with flavours of juniper, koriander and citrus that is equally enjoyable neat as it is in a distinctive gin and tonic. 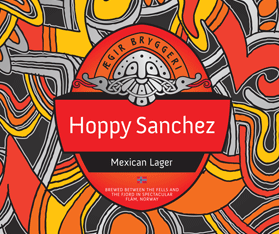 Mexican Lager? Why not! We’ve dry-hopped our “north of the border” hybrid of the style, giving this dry beer a fresh and citrusy twist. Perfect with tacos and other Mexican food. 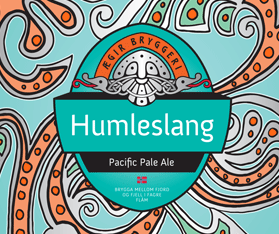 This is the third edition in our Humleslang series of tasteful, hoppy brews. This time we’ve made a pale ale infused with fresh tangerine peels, and dry hopped with Citra hops. Pairs well with grilled foods and spicy dishes. This is the fourth release in our Humleslang series. This version is a pale ale with focus on hops from New Zealand, specifically Pacific Jade and Pacific Gem which give fruity and lightly tropical notes to the beer. A great match with spicy dishes and grilled foods. 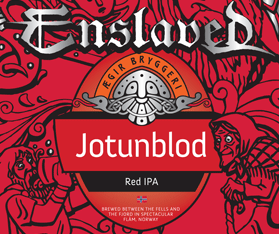 We like music, beer and nordic mythology so we jumped at the chance to collaborate with the metal band Enslaved. 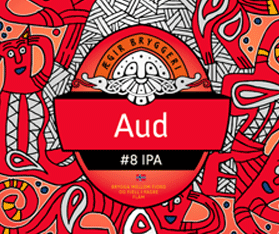 The result is a aromatic and hoppy red IPA named after the band´s song "Jotunblod". This beer rocks by itself or together with grilled foods, cheeses and loud music. 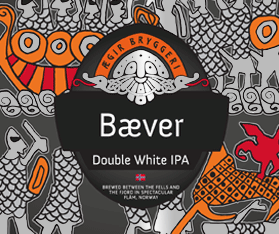 A light and flavourful beer with delicate tones of coriander seed and orange peel over a backbone of unmalted wheat. Goes well with all types of seafood and lighter dishes. 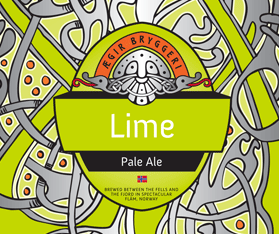 The characteristic aroma and taste of lime stand out in this light pale ale, making for a fresh and thirst-quenching beer with a dry finish. Pairs nicely with shellfish and lighter dishes, or just enjoy it by itself. This is our version of Scotch Ale, a brew also known as Wee Heavy. 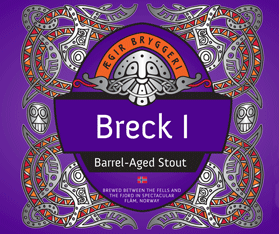 The beer is full-bodied and malty with a hint of peat smoked malt. A good companion for heavy meat dishes, wild game, tasty cheeses and grilled foods. . This is a version of our Imperial Porter that has been aged for months in Bourbon Whiskey barrels from Tennessee. 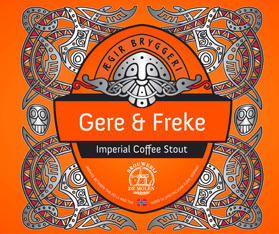 This beer has an exquisite balance between oak and American whiskey together with tones of coffee, vanilla and licorice. Very good company for chocolate desserts or a classic créme brülée. 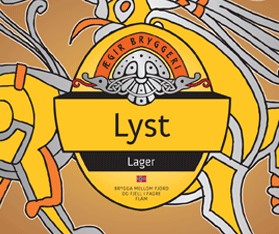 Lyst Lager is a well balanced and delicate beer with an elegant malt character, brewed in the traditional style known as Munich Helles. 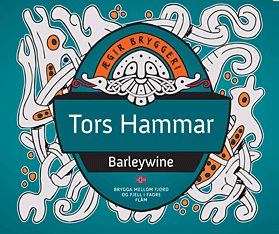 Goes well with sunshine and happy thoughts – and with grilled foods and fish dishes. .
A crisp and tart thirst quencher, this rye ale goes through two fermentations to give it a light sourness. 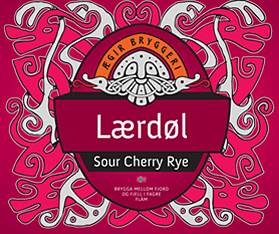 The beer also has about 10% local sweet cherry juice added, giving it a unique aroma and flavor profile. Pairs well with strong cheeses or as a palate cleanser between courses or after dinner. 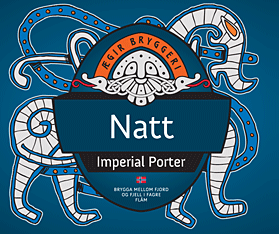 Black as night, this luxurious Imperial Porter has flavours of coffee, chocolate and roasted malt – and a bit of citrusy hops. An unbeatable companion for dark chocolate and rich desserts. 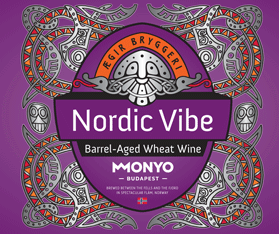 A collab with the great guys from Budapest’s Monyo Brewing. We made a Wheat Wine, added black currents, oak-aged the beer in third-fill Breckenridge Bourbon barrels for several months, and then added just a hint of vanilla. Perfect with different cheeses and desserts. 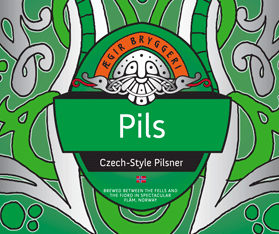 Sound the trumpets for the Czechs with their wonderful water that allowed them to create the soft, golden lagers that inspired this beer; for our water in Flåm; perfect for making a pils that is a flavourful and light thirst-quencher. 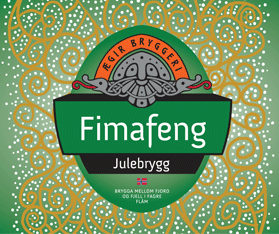 Enjoy this brew by itself, or as a complement to seafood and other lighter dishes. 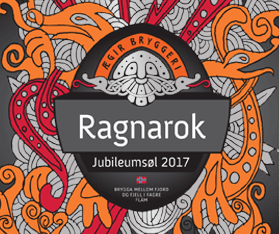 Ragnarok is our version of a Belgian quadruppel. 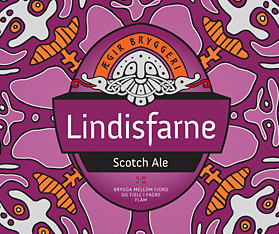 The beer is brewed with orange peel and exotic sugar and has hints of oak, apple and dried fruit. Enjoy in small sips by itself – or in the company of meat dishes and ripe cheeses. 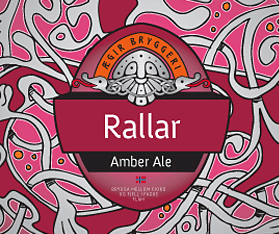 This is an Amber Ale with six different malt types in the grain bill, giving it a deep red colour and flavours of toffee and caramel. A great companion for barbecue, cured meats and cheeses. 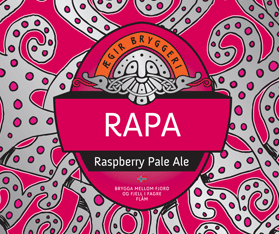 Beautiful local berries from Lærdal steal the show in this pale ale, with a prominent raspberry character delicately balanced with malt and hops. Works well both as an aperitif and as a thirst quencher. 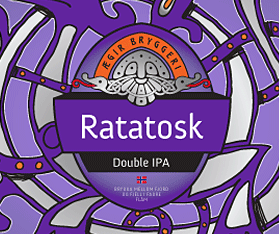 Named after the squirrel Ratatosk from Norse Mythology, this beer is a sassy and fruity India Pale Ale with double dose of hops and a surprisingly rich malt character. Goes well with cured meats and grilled foods – or as a good ending to an already good day. 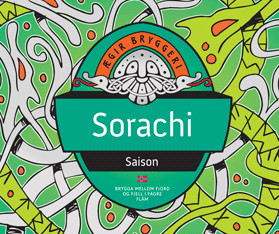 This beer is inspired by Belgian farmhouse ales, but our version is dry hopped with Sorachi Ace and boasting rich flavours with hints of oak, citrus and herbs. A dry and fruity character makes the brew a perfect companion to all kinds of good food. A strong and full-bodied Barleywine that boasts big flavors suggestive of apples and dried fruit. A perfekt companion for lamb dishes, ripe cheese and rich desserts. Our version of a New England IPA. Golden and hazy, this unfiltered brew is a blast of citrus and floral flavors. A treat by itself, but also pairs well with ceviche, cheeses, and spicy dishes. 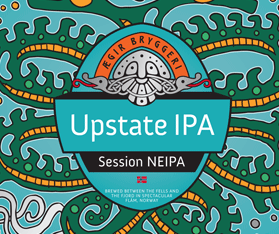 This beer is a Session IPA with flavours of tropical fruits and citrus completed by a refreshing and dry finish. Plays well alone but is happiest in good company with grilled foods or spicy dishes..
A Belgian Witbier with hints of wheat malt, coriander seed and orange peel . 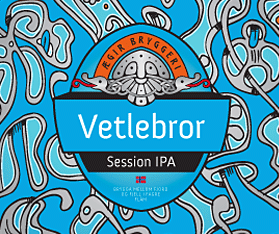 Together with a very special yeast strain, this gives a cloudy, flavourful and fruity beer. Good all by itself, but also a perfect partner for salads, mussels, white meat and fish. 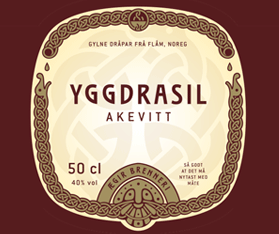 Yggdrasil Aquavit is aged in oak barrels between six months and one year, and has the flavors and aromas of a variety of traditional spices such as caraway, oak, anise and citrus. 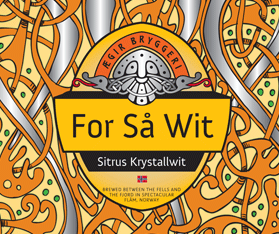 Aquavit can be enjoyed by itself, but works well with robust foods in all seasons. Our award-winning IPA brewed in the classic Northern California style and features piney and citrusy hop flavours backed up by a malty backbone. Stands solid on it´s own feet, but is also a perfect match with lamb, beef, fat fish, ripe cheese and spicy food. 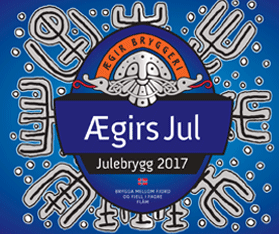 Ægir’s Jul is a medium-bodied bock-style beer that isn’t too heavy and offers up flavours of caramel and baked goods. Works both as an aperitif, in relaxing moments on a winter evening, or paired with the foods of the season.